We are facing a maternal health crisis in the United States. More and more women are dying from complications related to pregnancy and childbirth. This is especially true for women of color. Black women have maternal death rates over three times higher than women of other races. This is simply not acceptable, and we will not stand by as this trend continues. You can take action now to fight for the health of all moms. What’s the difference between pregnancy-related death and maternal death? You may have heard these terms in the news lately. Pregnancy-related death is when a woman dies during pregnancy or within one year after the end of pregnancy from problems related to pregnancy. Maternal death is when a woman dies during pregnancy or up to 42 days after the end of pregnancy from health problems related to pregnancy. Regardless of the term or timeframe, the death of a mom is tragic with devastating effects on families. About 700 women die each year in the United States from complications during or after pregnancy. Black women in the United States are three to four times more likely to die from pregnancy-related causes than white women. This difference may be because of social determinants of health. These are conditions in which you are born, grow, work, live and age that affect your health throughout your life. These conditions may contribute to the increase in pregnancy-related death among black women in this country. The risk of maternal death also increases with age. For example, women age 35 to 39 are about two times as likely to die from pregnancy-related causes as women age 20 to 24. The risk for women who are 40 and older is even higher. If you’re pregnant, thinking about getting pregnant or sharing this news with someone you love, regular health care before, during and after pregnancy helps women and health care providers find health problems that can put lives at risk. Learning warning signs of complications can help with early treatment and may prevent death. Always trust your instincts. 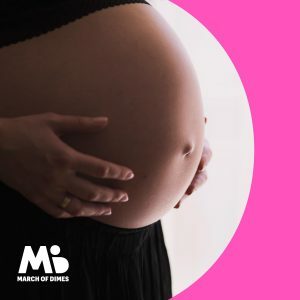 If you’re worried about your health or the health of someone who is pregnant, pay attention to signs and symptoms of conditions that can cause problems during pregnancy. A health care provider or hospital is your first line of defense. You can help us lead the fight for the health of all moms and babies. Take action now to support legislation that can protect the women you love and prevent maternal death. We need thousands of voices to persuade policymakers to pass laws and regulations that promote the health of women, babies and families. You also can make a donation to level the playing field so that all moms and babies have the same opportunity to be healthy. And learn about the signs and symptoms of health complications after birth that can save lives. Very sad to know about maternal death. Lots mother dying during pregnancy and giving baby birth. I feel sorrow to listen this.